Trilogy Edibles: Simply The Best…1000 Fan Giveaway! Simply The Best…1000 Fan Giveaway! First off, the post title says it all. You are the best, that’s right, you! The ones who are reading this post are the best. I never would have thought that when I started this blog in August 2009; just to show friends and family abroad all the stuff I was making; that it would turn into this. And by this I mean a place where I post recipes and things I craft for fun or as gifts and then all of you wonderful people come by daily and read about what I’ve made. More amazingly is that you come back. I’m feeling pretty lucky. So I won’t bore you with any more platitudes and will get right to it. These are for you! Two packages for two wonderful readers. If you would like to be entered into this giveaway there are four ways to enter. Follow my blog and comment below telling me you have or already do. There you have it! It’s simple and I hope you’ll play along. Thank you again for giving me a reason to not get a real job! **Giveaway closes Friday, January 6th at midnight EST. Thank you everyone who took part and I wish I could give you all a thank-you gift! Please contact me at trilogyedibles at hotmail (dot) com with your cookie preference and your mailing address! I'd love to taste your vanilla flavor. Congrats on 1000 fans!!! That's totally awesome. :) Those handbags are ADORABLE. 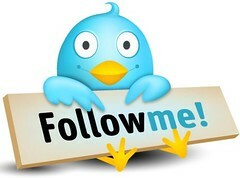 I follow you!!! AWESOME TREATS! Facebook! I've never had a chocolate sugar cookie, sounds delish. I love your purses, btw. 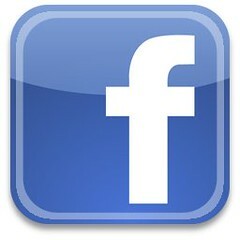 I'm a FB fan of urs from Asia, a small country called singapore. I love chocolate and all the beautiful cookies you do :) keep it up!! Following you from Australia (on Facebook and your blog), thank you for your support on my page too, Lisa. Congrats on 1000! Chocolate sounds yum! i follow you on facebook and congratulations on reaching 1,000 fans...so exciting!!! i like vanilla cookies and i hope you had a fun holiday!!!! I normally dislike chocolate, but sm quite drawn yo your chocolate cookies! I follow you on facebook and subscribe to your blog. I can't get enough! Thanks for all you share! Not entering the giveaway Karen, just want to say congratulations on this following milestone and continued success with Trilogy Edibles throughout 2012. I am a chocolate lover...Happy New Year! I'd love to try the vanilla! Happy New Year! Cookies, I LOVE any flavor!!! Vanilla. Would love to win! I love cookies! Vanilla! Congrats on 1000 fans...that's super! And this give-away is a great way to celebrate! Thanks! Chocolate! Your work is beautiful, happy new year! did you say cookies....yes,yes I love all flavors. I'd love to try your chocolate cookies! And lastly I like you on FB. I'm following you on FB too! Chocolate would be nice for a change... Smile! It makes people wonder what you've been up to. LIKED you on FB thanks to Sugarbelle's post! Your SWEETS are worth TWEETS! I love vanilla and will now be an avid follower after finding you!! Your work is amazing! MMMM Chocolate! I follow you on FB an your cookies are amazing!!! And I'm not a morning person...I'm a night owl! I also follow you on fb, what a cookie artist you are!! Vanilla cookies but chocolate anything else! I'm starting my 2012 diet to lose baby fat #2 before a girls trip to Cancun so I've been staring at cookies online instead of devouring them like I did when I was preggo. Yours are beautiful! I prefer vanilla. All of your cookies look fantastic! I follow your blog, love the handbags. You have a great blog with so many great ideas! Chocolate is my favorite! I love vanilla! Congratulations on 1000 fans! Your stuff is adorable! I am officially following your blog now! AND I have liked you on Facebook, too! Oh boy...vanilla for sure! Yum! How about picking me to win some of those vanilla sugar cookies? Yeah...I think it's a grand idea!!! Chocolate, definitely chocolate!! Love your blog,your cookies are amazing! I love chocolate!! Wow I can't believe you do handbags and cookies :0 You are definitely a woman of many talents lol. I love Chocolate (of course) although it won't help this new diet I started, but a few cookies also don't hurt! Vanilla! And I recently discovered vanilla paste and vanilla powder and have been baking a lot with it! Not much of a chocolate fan however since my appendix ruptured that is changing! Chocolate has been on my mind but also peppermint. Vanilla, and I am in love with the colors on that bag! I follow your blog and your cookies are amazing! I follow you, I love both flavors, but I would like chocolate YUM!! I'm with you, I'm thankful too because I have a reason to not get a real job :D Congrats on you 1000 likers! !